Summer is a time to store those heavy sweaters and unearth light and airy t-shirts from the back of your closet. However, you might quickly discover that last year’s tees no longer fit or work with your wardrobe. 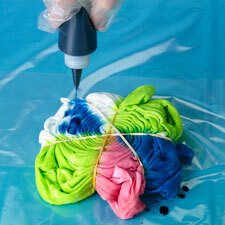 Well… step away from the trash can because you can use ill-fitting cotton t-shirts to create a variety of crafts. Whether you simply cut up an old shirt or create something entirely new, there are so many ways to show off your creativity and save money on fabric. 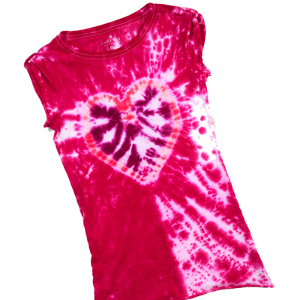 Plus, t-shirt crafts like refashioned tank tops can be worn during the warm summer months. 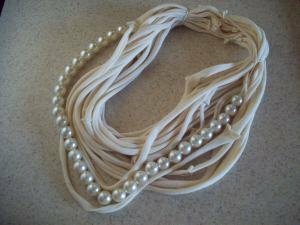 Another great idea for upcycling t-shirts is creating jewelry. No, this doesn’t mean you have to make a precious bauble. 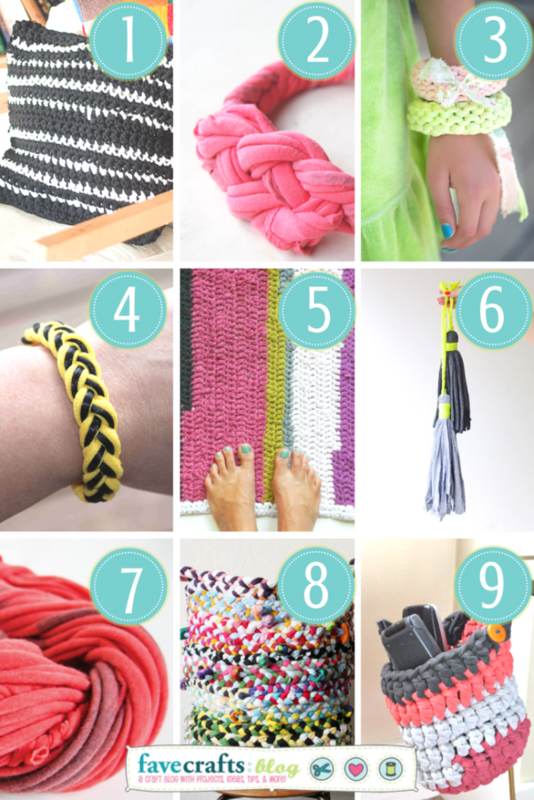 Instead, create a Braided T-Shirt Necklace with just a few strips of fabric. Sewing skills often come in handy when creating t-shirt crafts. A Groovy T-Shirt Tote isn’t hard to make, but it does require a needle and thread. 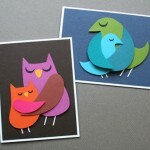 T-shirts can also be extremely useful when creating inexpensive home decor crafts. 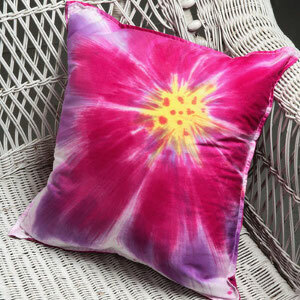 Cover your couch or bed with Easy T-Shirt Pillows – the more worn-in the fabric, the softer the pillow! This is also a great excuse for saving meaningful t-shirts you no longer want to wear. You can’t be considered a hoarder when you upcycle your shirts and create something useful … right?! 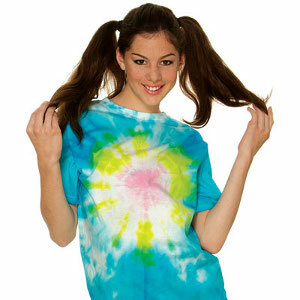 Get inspired and go green by upcycling old t-shirts. Create funky wearable, pretty decor crafts and more while saving on fabric and supplies – what’s not to love? 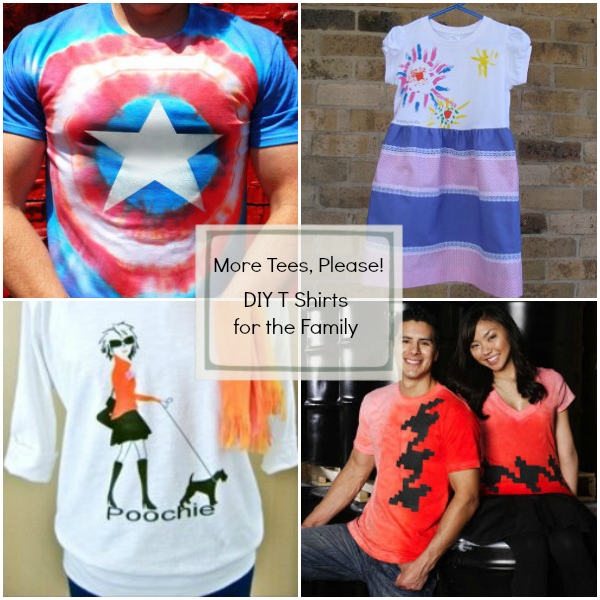 If you’re like me, you have a bunch of t-shirts just waiting to be crafted into something new! Try out these patterns too and make something amazing today. Scrap quilting is one of the biggest trends in the industry right now. Quilters are saving their money by recycling their fabrics and using less expensive options to make extraordinary patterns. 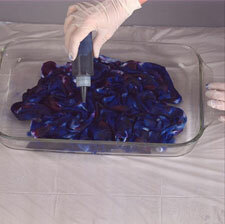 One of the ways that’s been particularly fun and popular for keepsake quilters is making t-shirt quilts. The material is sturdy and comes in pretty much every color, and there are also limitless designs for sports team, schools, and more that will give a quilt a personalized kind of pride. When it comes to actually making these t-shirt quilts, FaveQuilts has been given one of the best tools available, and we’d like to share it with you. Before you make your next t-shirt quilt, be sure you read up on the June Tailor T-Shirt Transformation Ruler and how it’ll help you turn t-shirts into more than just quilts. There’s no hidden tricks behind this product, it’s simply there to help you make the cleanest cuts and smoothest lines possible. The strong surface is easy to clean and won’t fall apart with any stray cuts, and the positioning of the lines is also very helpful. Not every quilt needs to be in traditional block formation, so if you’re planning on using something like rectangles instead, there are lines for that too! The ruler also includes three sets of measurements so you don’t have to recalculate sizing. The June Tailor ruler eliminates so many potential hassles while still being a breeze for quilters to use. 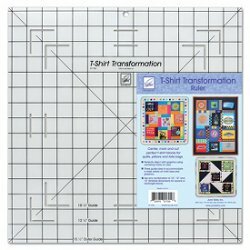 Before you make your next t-shirt quilt, consider how much smoother things can be if you have the June Tailor T-Shirt Transformation Ruler. For one lucky quilter, you’ll be able to find out, because FaveQuilts is hosting an exciting new giveaway. Enter by June 11th for your chance to win your very own t-shirt ruler and make your next keepsake quilt a real sensation. It’s time to refashion those ordinary T-shirts into something totally fabulous. 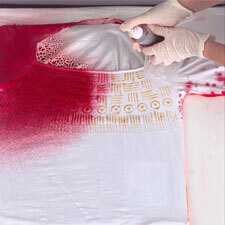 Let this fun book show you how to take a plain, old tee and transform it into your most creative top. The techniques and ideas are super simple to follow. Each T-shirt transformation only calls for a few accessible items like scissors, a sewing needle and thread. 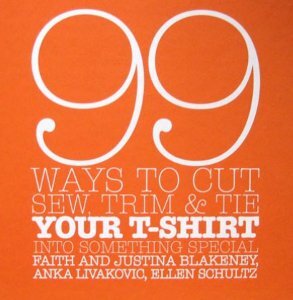 We’re giving away a copy of 99 Ways to Cut, Sew, Trim & Tie Your T-Shirt Into Something Special. If you want to win, visit the contest page every day for your chance to snag the prize. The contest ends April 29, 2013. Enter to win today! 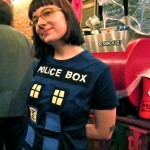 16 Free Shirt Sewing Patterns Up for Grabs! Are the rumors true? Is spring really around the corner? We won’t know until the groundhog gives us the official word but for our own sakes, let’s pretend spring is on the way. Sounds like you’ll be needing some new spring tops for your wardrobe. Not to worry. We’ve just put together this collection full of free shirt sewing patterns to put your mind at ease! 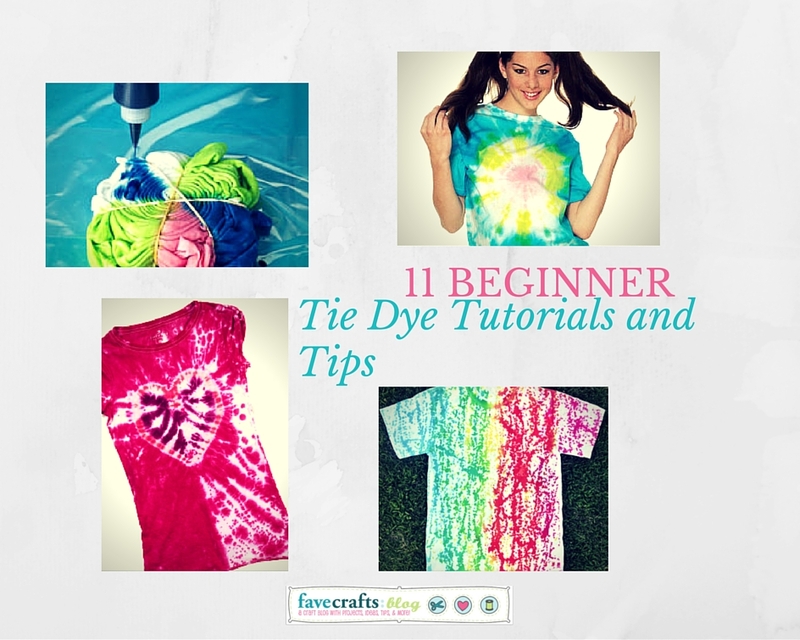 Many of these tutorials will show you how to make a tank or how to sew a blouse. It’s time to whip out the sewing machine and start creating these simple and fun tops. Spring will be here before you know it and you’ll want these pretty sewn tops to be pressed and ready to wear. For all of your free shirt sewing pattern needs, check out some of our favorites below. This Beautiful Bow Tank is an elegant top and easy sewing project. 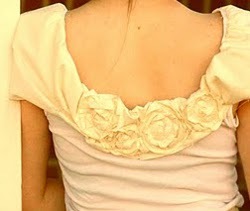 Just follow the pattern for a basic tank and embellish it with a ruffled bow. Don’t spend money on a new wardrobe when you can easily make your own clothes! Serged ruffles and ruched sleeves make this Ruffle Blouse a must-have top. 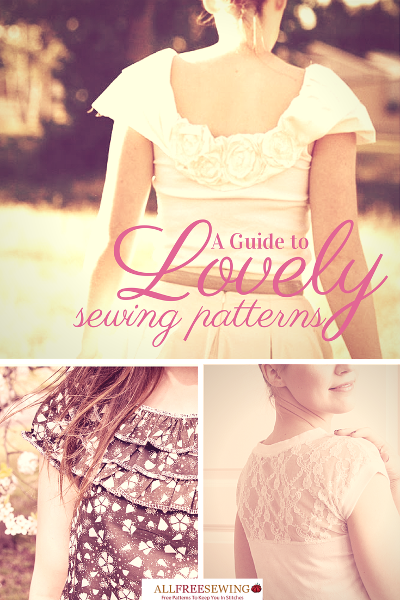 It’s a feminine sewing pattern that you’ll love wearing. Learn how to make a blouse with this easy sewing tutorial. There’s something romantic and beautiful about the Gardens At Dusk Tank. It’s a woman’s shirt sewing pattern that you’ll love to wear to parties. 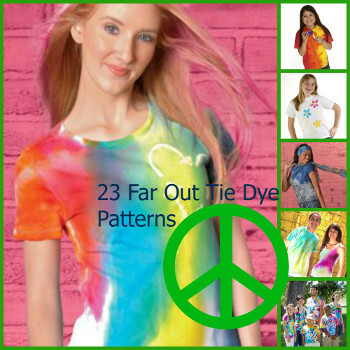 For more, check out the 16 Free Shirt Patterns: Learn How to Sew a Shirt collection. What are you most looking forward to in spring? 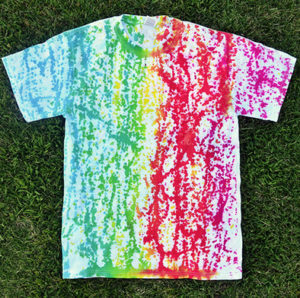 If you’ve ever tried screen printing a tee shirt, you know that it can be a long and tedious process. Often times you have to wait for hours for your image to be ready, and even iron ons last one or two washes before peeling or fading out. 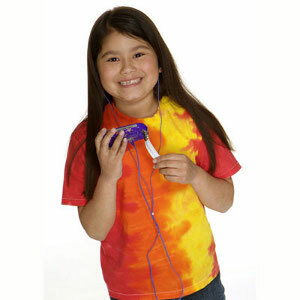 Now there’s an easier and faster way to create your custom tee shirt designs. In about 15 minutes, you can have a screen ready to be applied to a tee shirt, tote bag, tablecloth, or any other surface you can think of! With the help of the Tulip ScreenIt, screen printing has become easier, faster, and way more fun! And lucky for you, we’re giving away a ScreenIt Shirt Printing Machine to one lucky winner! Tulip ScreenIt is an all-in-1 screen-printing system designed to help you easily achieve professional results on fabric surfaces, even if you’ve never used a screen-printing machine before! Whether you want to create a personalized tee or tote of your own, or you need to whip out some spirit tees for your cheer squad or sports team, you can count on Tulip ScreenIt to make the process super simple and super quick. This awesome machine comes with everything you need to get started. All you need is an image to print and a blank tee and you’re ready to go! This would be a great way to make personalized tee shirts for a sporting event, a charity drive, or even a family reunion. You could even make custom tote bags for your book club or make tee shirts supporting your son’s new band! 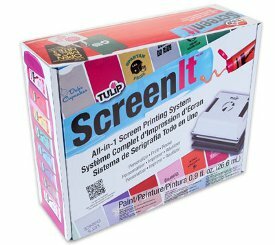 The possibilities are endless with the help of the ScreenIt by Tulip. Wanna win the ScreenIt Tee Shirt Printing Machine? Head on over to the giveaway page and register to win today. You have until November 16th to enter, and you can enter to win once a day…so the more you return, the greater your chances of winning this awesome giveaway! You can also gain additional entries by blogging about this giveaway or talking about it on Facebook, Pinterest, or Twitter. Get all the info at the ScreenIt giveaway page! Good luck! Is your closet full of old t-shirts that you don’t even wear anymore? It’s sometimes hard to part with your favorite tees, especially when you are feeling nostalgic. Instead of storing them in the corner of your basement, give those tees a new life! Preserve those memories by recycling your t-shirts and turn them into cute tote bags. 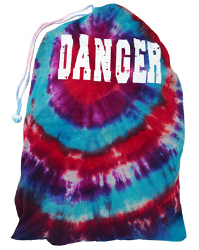 Not only do you get a great new bag, but your precious t-shirts can finally see the light of day. Plus, it’s super eco-friendly! 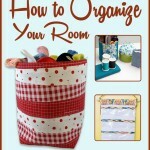 This is also a great project if you have shirts that are too big, or ones that your kids have outgrown. Check out this video tutorial to learn how to make your own bag, all you need is a t-shirt and some basic sewing skills. 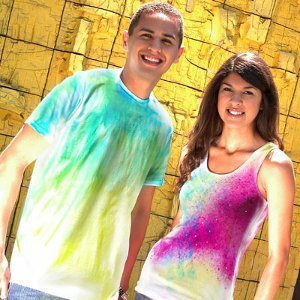 What do you make with your old T-shirts?